You have already finished Assassin's Creed 3 game and visited every location of this beautiful project? Then it's time for stunning Assassin's Creed 3 DLC that has not only brand-new plot, but also brand-new abilities. We have already mentioned about The Tyranny of King Washington - comprehensive Assassin's Creed 3 DLC that consists of three parts and tells us the alternative story of America. The first part of this additional content has already been released, the second one will be available in a week, and the final part will appear in April. But today the developers revealed another interesting detail about this Assassin's Creed 3 DLC. Ubisoft showed the powers of wolf that will help our hero to defeat mean and cruel Washington. Connor will have even two different wolf powers. Wolf Cloak ability allows hiding and secret attacking. Using it, you will be almost invisible and will be able to steal up to your enemies. 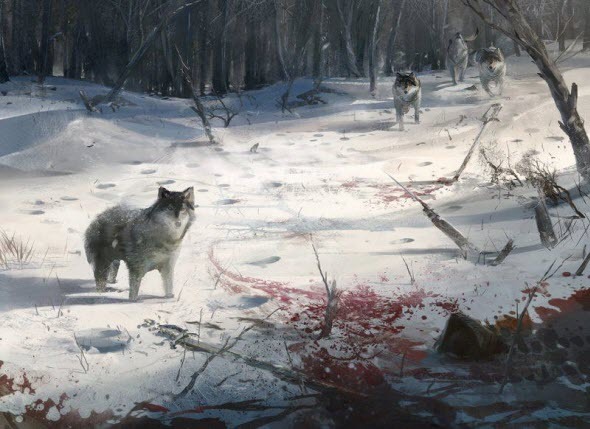 With Wolf Pack ability you will be able to call for help, and dangerous team of wolves will be fighting together with you. And we'd like to remind you that the owners of game's Season Pass can download free Assassin's Creed 3 DLC.